Space: the Stringer Frontier. These are the voyages of the starship Helrise. Its continuing mission: to explore strange new sims; to seek out new creations and new communities; to boldly go where no pixel has gone before. Queue Epic Music . . . .
HopScotch is in Multiverse, a Sci-Fi event that is going on right now. 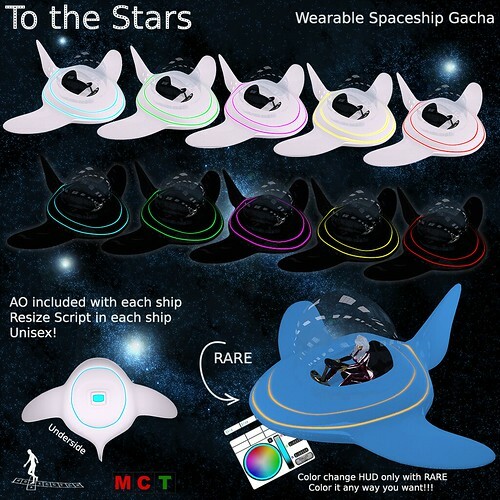 They created a very cute spaceship gacha. 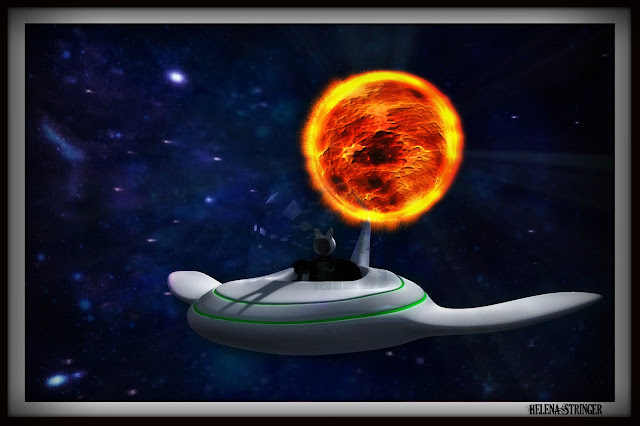 The spaceship comes with a hud, that allows you to hover. Visit Multiverse to grab one of your own today! If you like the Helmet(though hard to see) and want to be your very own space adventuring bunny, you can find it HERE on marketplace. It was made by our very own Free*Stylist, Isabelli Anatine of Uncertain Smile.